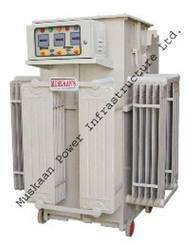 Our clients can avail from us a wide gamut of Transformer For Multi Tab Voltage Stabilizer. These stabilizers are widely demanded in the industry for their excellent features such as high durability and high efficiency. All the products offered by us are designed in compliance with international quality standards. Further, these stabilizers are thoroughly tested under the supervision of quality auditors to ensure the quality of products. 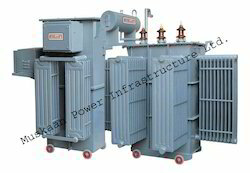 We are engaged in offering an impeccable range of Transformer Tanks. The offered tanks are manufactured using high quality raw material and ultra modern machines. 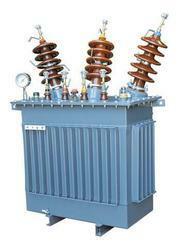 Our offered tanks are widely used for housing transformers for electrical industries. The offered tanks are widely appreciated among our clients for their high durability and low maintenance features. Apart from this, these tanks are offered in diverse technical specifications as per clients’ demands. Off circuit tap changing switch tapping from 5% to - 5% in steps of 2. 5% for hv variation or as per customer’s requirement. We are proud to inform you that we are an ISO 9001-2000 BVQI Certified Company with very good installation base in India & abroad. We believe in Quality Oriented Product & with state of the art technology. We have established a renowned name as -Muskaan Power Infrastructure Ltd. that has made a major breakthrough in the field of Engineering and Electricity Saving. Our high quality products and efficient services to our valued customers have enabled us with ample success. We at Muskaan Power Infrastructure Ltd. believe that, sale is not an end of a relationship, but just the beginning of our services. With this belief we destined to bring in products, which are customer oriented. We have the ability to offer you the best value products that meet or exceed expectations all at competitive prices. Looking for Automatic Voltage Controllers ?